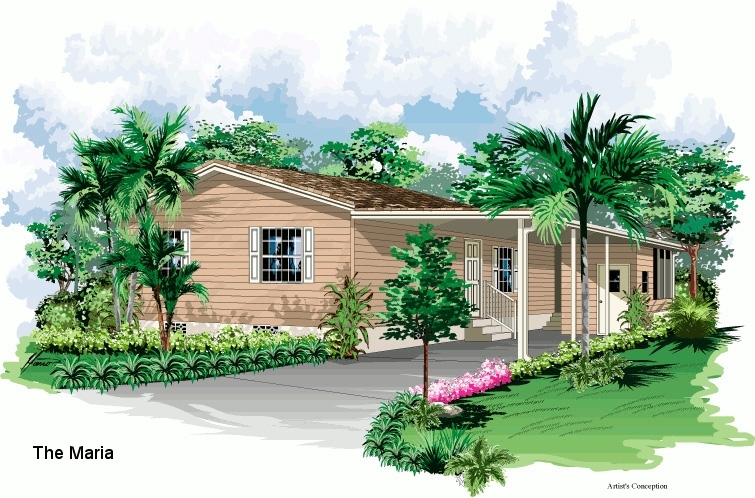 The Maria is one of our mid sized homes, only without the limitations of a small house. The Maria feels spacious, because every square foot is maximized to its potential with the aura of a large home. As Goldilocks said when when she went to the homes of the 3 bears, too big, too small, and finally perfect. Complete with a screened lanai, Florida sunshine galore, and your choice of a den or extra bedroom. The Maria is sure to bring a smile to your face, as you enjoy the lifestyle you deserve!